Item #39536 UPC #028995395369 Condition: New Availability: Out of Stock $0.00 Order this product exclusively on HSN or at HSN.com. 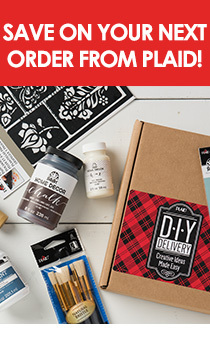 Rehab, upcycle, and transform your furniture and home decor projects easily with this Perfect Palette Chalk and Wax Kit. Featuring (5) 2oz and (1) 8 oz chalk finish colors hand-picked by Anna Griffin to create the perfect chalk palette, this kit also includes (1) 8oz wax, 2 small brushes, and a storage pouch. This no-prep, chalk finish paint was specially formulated to easily layer and distress, making it an ideal choice for DIY furniture and decor.